I read this article and found it very interesting, thought it might be something for you. The article is called Nobel Laureate Economist Says American Inequality Didn’t Just Happen. It Was Created. and is located at http://evonomics.com/nobel-prize-economist-says-american-inequality-didnt-just-happen-it-was-created/. American inequality didn’t just happen. It was created. Market forces played a role, but it was not market forces alone. In a sense, that should be obvious: economic laws are universal, but our growing inequality— especially the amounts seized by the upper 1 percent—is a distinctly American “achievement.” That outsize inequality is not predestined offers reason for hope, but in reality it is likely to get worse. The forces that have been at play in creating these outcomes are self-reinforcing. America’s current level of inequality is unusual. Compared with other countries and compared with what it was in the past even in the United States, it’s unusually large, and it has been increasing unusually fast. It used to be said that watching for changes in inequality was like watching grass grow: it’s hard to see the changes in any short span of time. But that’s not true now. Addressing inequality is of necessity multifaceted—we have to rein in the excesses at the top, strengthen the middle, and help those at the bottom. Each goal requires a program of its own. But to construct such programs, we have to have a better understanding of what has given rise to each facet of this unusual inequality. However, for modern economists and political scientists, as also for the ancient Greeks, this inequality was not a matter of a preordained social order. Power—often military power— was at the origin of these inequities. Militarism was about economics: the conquerors had the right to extract as much as they could from the conquered. In antiquity, natural philosophy in general saw no wrong in treating other humans as means for the ends of others. As the ancient Greek historian Thucydides famously said, “right, as the world goes, is only in question between equals in power, while the strong do what they can and the weak suffer what they must. The theory that came to dominate, beginning in the second half of the nineteenth century—and still does—was called “marginal productivity theory”; those with higher productivities earned higher incomes that reflected their greater contribution to society. Competitive markets, working through the laws of supply and demand, determine the value of each individual’s contributions. If someone has a scarce and valuable skill, the market will reward him amply, because of his greater contribution to output. If he has no skills, his income will be low. Inequality is the result of political forces as much as of economic ones. In a modern economy government sets and enforces the rules of the game—what is fair competition, and what actions are deemed anticompetitive and illegal, who gets what in the event of bankruptcy, when a debtor can’t pay all that he owes, what are fraudulent practices and forbidden. Government also gives away resources (both openly and less transparently) and, through taxes and social expenditures, modifies the distribution of income that emerges from the market, shaped as it is by technology and politics. Finally, government alters the dynamics of wealth by, for instance, taxing inheritances and providing free public education. Inequality is determined not just by how much the market pays a skilled worker relative to an unskilled worker, but also by the level of skills that an individual has acquired. In the absence of government support, many children of the poor would not be able to get basic health care and nutrition, let alone the education required to acquire the skills necessary for enhanced productivity and high wages. Government can affect the extent to which an individual’s education and inherited wealth depend on those of his parents. Competitive forces should limit outsize profits, but if governments do not ensure that markets are competitive, there can be large monopoly profits. Competitive forces should also limit disproportionate executive compensation, but in modern corporations, the CEO has enormous power—including the power to set his own compensation, subject, of course, to his board—but in many corporations, he even has considerable power to appoint the board, and with a stacked board, there is little check. Shareholders have minimal say. Some countries have better “corporate governance laws,” the laws that circumscribe the power of the CEO, for instance, by insisting that there be independent members in the board or that shareholders have a say in pay. If the country does not have good corporate governance laws that are effectively enforced, CEOs can pay themselves outsize bonuses. Progressive tax and expenditure policies (which tax the rich more than the poor and provide systems of good social protection) can limit the extent of inequality. By contrast, programs that give away a country’s resources to the rich and well-connected can increase inequality. Indeed, some of the most important innovations in business in the last three decades have centered not on making the economy more efficient but on how better to ensure monopoly power or how better to circumvent government regulations intended to align social returns and private rewards. Not all rent seeking uses government to extract money from ordinary citizens. The private sector can excel on its own, extracting rents from the public, for instance, through monopolistic practices and exploiting those who are less informed and educated, exemplified by the banks’ predatory lending. 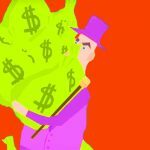 CEOs can use their control of the corporation to garner for themselves a larger fraction of the firms’ revenues. Here, though, the government too plays a role, by not doing what it should: by not stopping these activities, by not making them illegal, or by not enforcing laws that exist. Effective enforcement of competition laws can circumscribe monopoly profits; effective laws on predatory lending and credit card abuses can limit the extent of bank exploitation; well-designed corporate governance laws can limit the extent to which corporate officials appropriate for themselves firm revenues. Instead, many of the individuals at the top of the wealth distribution are, in one way or another, geniuses at business. Some might claim, for instance, that Steve Jobs or the innovators of search engines or social media were, in their way, geniuses. Jobs was number 110 on the Forbes list of the world’s wealthiest billionaires before his death, and Mark Zuckerberg was 52. But many of these “geniuses” built their business empires on the shoulders of giants, such as Tim Berners- Lee, the inventor of the World Wide Web, who has never appeared on the Forbes list. Berners-Lee could have become a billionaire but chose not to—he made his idea available freely, which greatly speeded up the development of the Internet. Excerpted from The Price of Inequality: How Today’s Divided Society Endangers Our Future by Joseph E. Stiglitz. 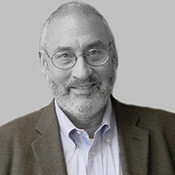 Copyright © 2013, 2012 by Joseph E. Stiglitz. With permission of the publisher, W. W. Norton & Company, Inc. All rights reserved.